Rediff.com » Movies » FABULOUS PICTURES from Katrina's life! 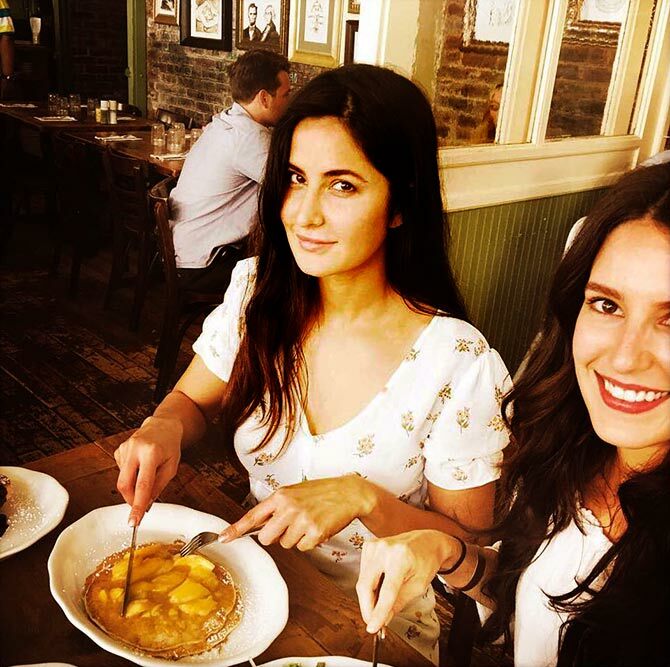 Have you seen Katrina's Instagram pictures? Katrina Kaif always makes amazing pictures. Imagine then, her Instagram page! The actress, who made her debut on the social media site in April, has treated her fans and followers to some beautiful pictures of herself, as she goes about life. Check out Kat's journey through these pictures. Kat's 'new beginnings' started on April 27, with her first post on Instagram. 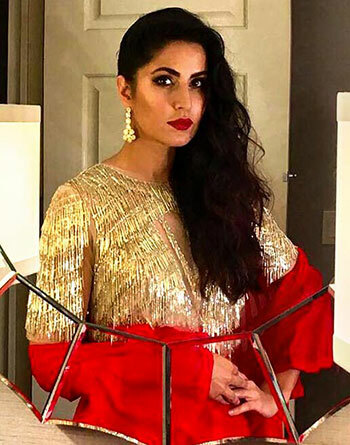 Anaita Shroff Adajania, who is married to Cocktail director Homi Adajania, has often styled Katrina. 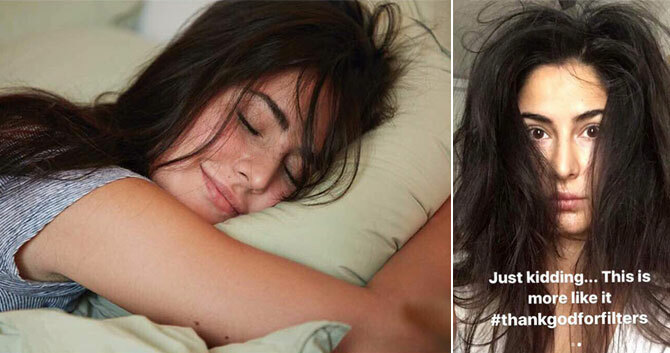 Do actresses really wake up looking like a dream? Or, do they look like us mere mortals? Katrina gives us an honest take. 'Finding inner peace ... (and information) whilst getting ready,' Katrina captions this picture. 'Hard at work, prep time for Tiger Zinda Hai at yrf. Photography by Aditya Chopra #adityachopradoesexist,' she captions this. 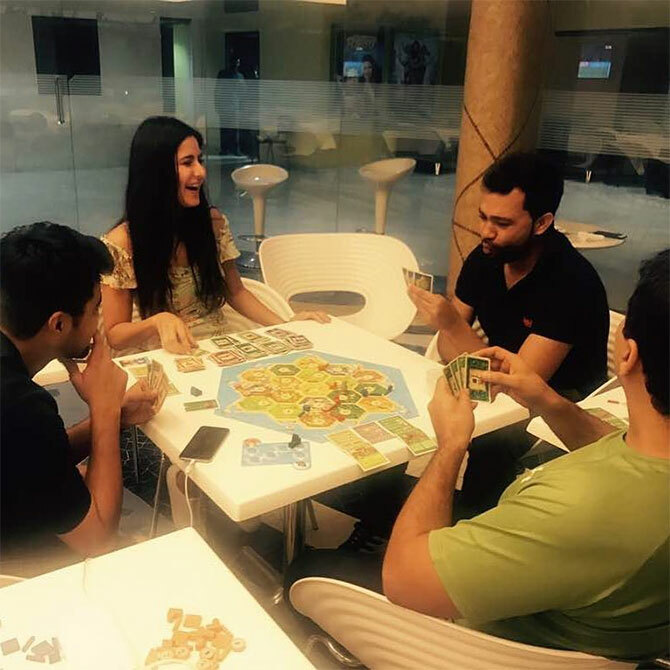 Katrina enjoys a game with her Tiger Zinda Hai director Ali Abbas Zafar. After the towel series, Peruvian photographer Mario Testino splashes Katrina on the cover of Vogue with this. 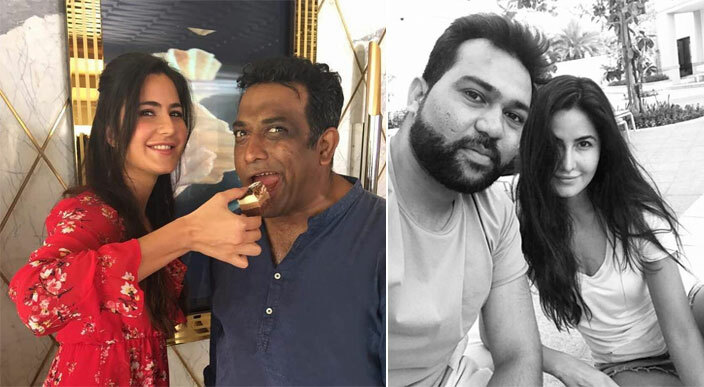 Katrina sings Happy Birthday for her Jagga Jasoos director Anurag Basu, and feeds him cake. Then, she waltzes off to Abu Dhabi to shoot Tiger Zinda Hai with Ali Abbas Zafar. Katrina will be seen opposite former beau Salman Khan in the sequel Tiger Zinda Hai, after they made the first film Ek Tha Tiger a huge blockbuster. All set to look smashing in Tiger Zinda Hai. Shooting Tiger Zinda Hai in the desert. 'On a dark desert highway .... well it's not really a highway, and it's not really dark , but it's a desert,' she writes with this picture. 'Here's to a happy breezy Monday. May the force be with you,' she captions this. 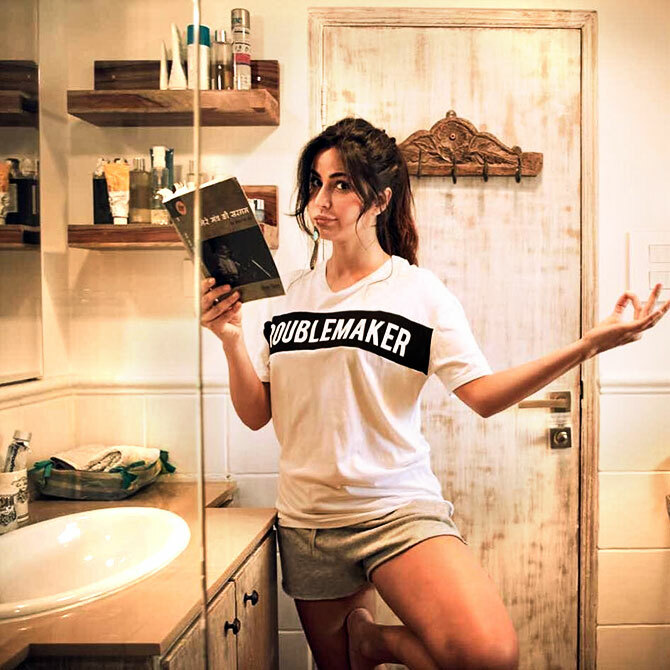 Fitness trainer Yasmin Karachiwala has been training Katrina for some time now, and tells us that 'Kat is not a naturally flexible person'. 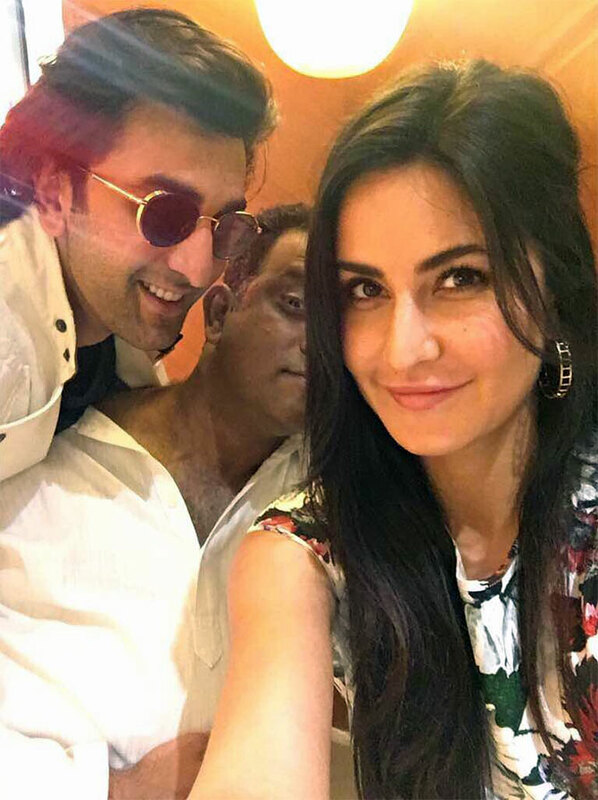 'Jagga Jughead Aur Voh @anuragsbasu #JaggaJasoos #RanbirKapoor,' she writes. Jagga Jasoos may not have done as well as expected at the box office, but the team sure had fun during its making. What are the exes talking about? Care to venture a guess? Hit the message board below! 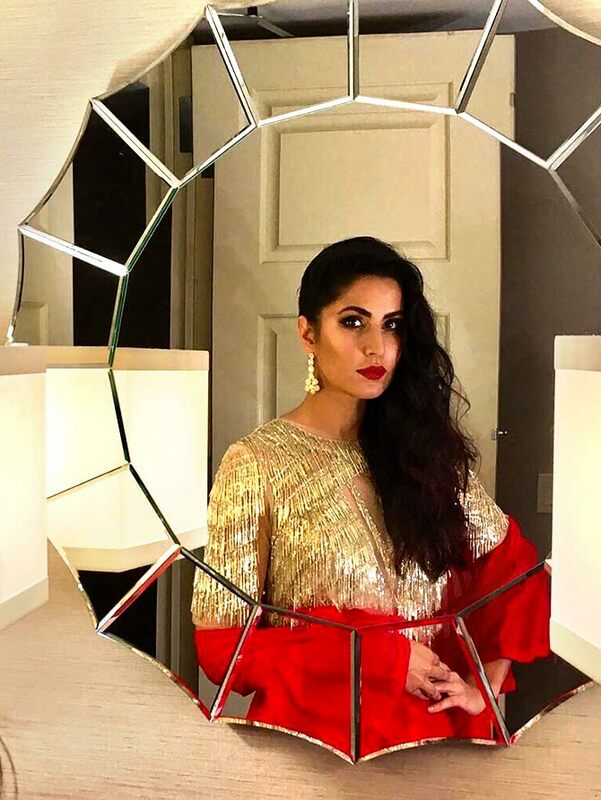 'When you can't decide what to wear .. just stop and take a selfie .. it always helps,' Katrina advises. 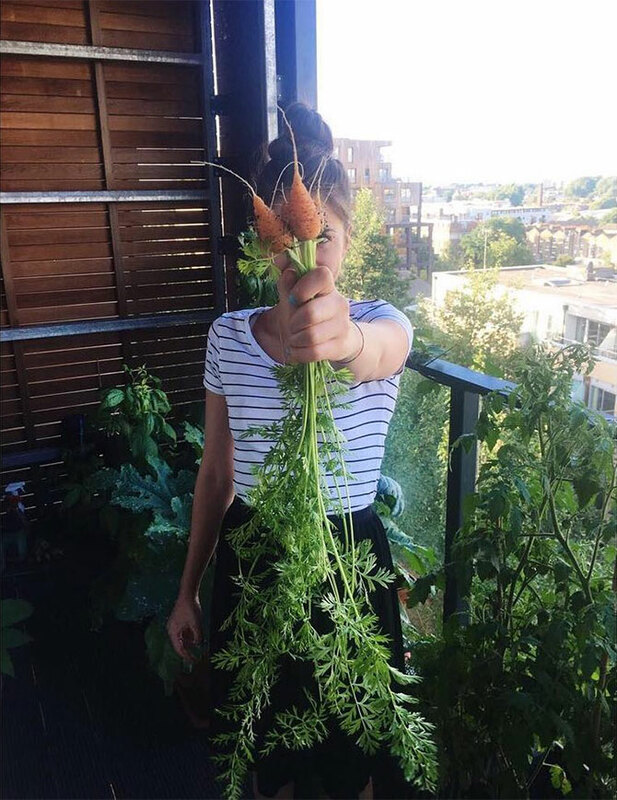 'You can grow your own carrots,' she writes. Now, we know the secret behind Katrina's fresh-faced look. Not that carrots is all she has! Katrina loves birthdays. 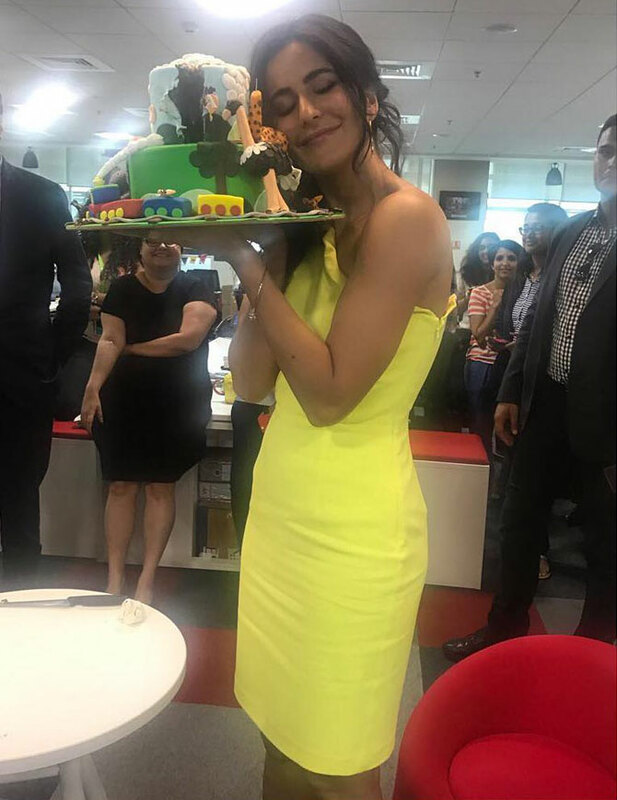 Here, she hugs her 'Cake No 3' from Disney. 'Only in New York. Pool table in my room #iifa2017,' Katrina writes. Have you seen her dazzling red carpet look at IIFA? Katrina performed at IIFA as well. See pictures here. Katrina enjoys surfing for the first time in Essaouira, Morocco. Katrina cuts into her birthday pancake, as her sister Isabelle tucks into hers. Vote for Katrina Kaif's HOTTEST dance! 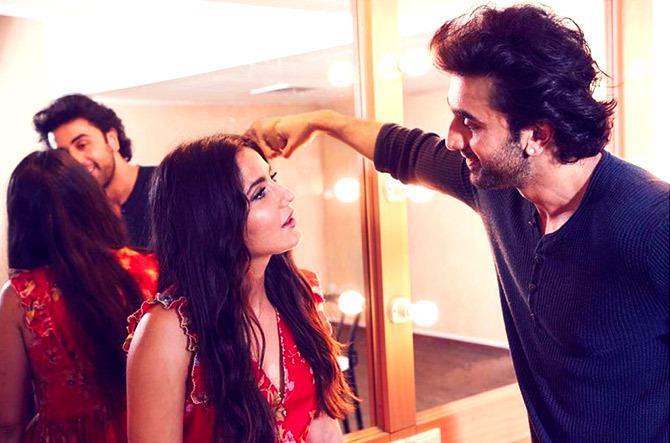 Ranbir: Katrina's a superhit machine!